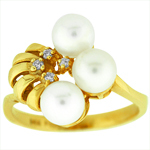 Home » Rings » Gemstone Rings » Pearl and Diamond white gold ring. 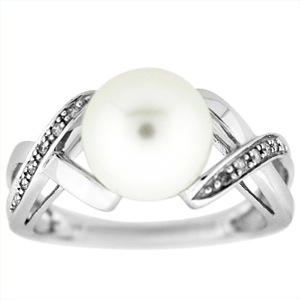 This Pearl and Diamond ring has an 8mm pearl and 0.06 carat total weight diamonds. Ring is set in 14 Karat white Gold. 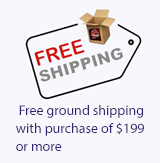 White gold is in style and makes a nice gift for any occasion. 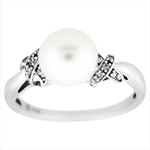 Pearl is also a birthstone for the month of June. 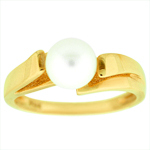 Pearl and Diamond Ring, 14K Gold.